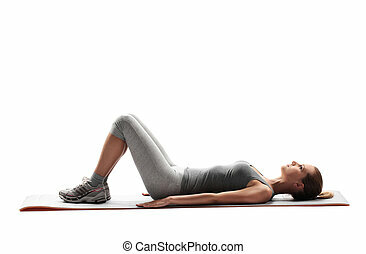 Woman workout fitness posture. 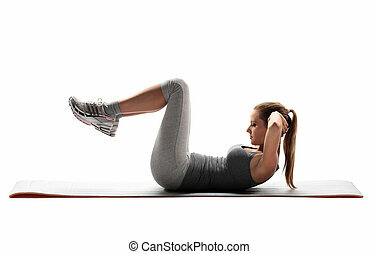 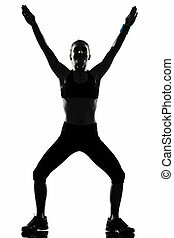 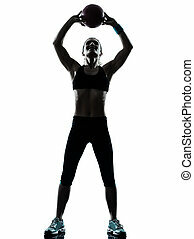 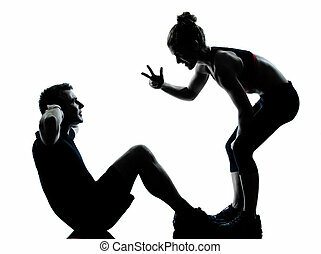 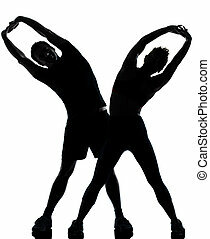 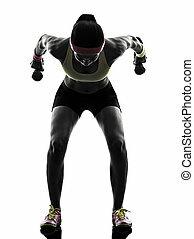 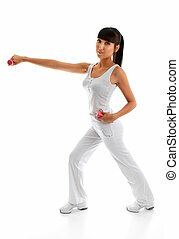 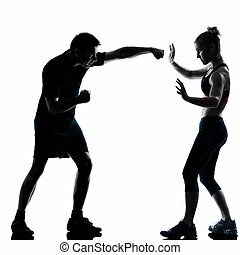 One woman exercising workout fitness aerobic exercise posture on studio isolated white background. 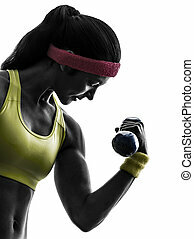 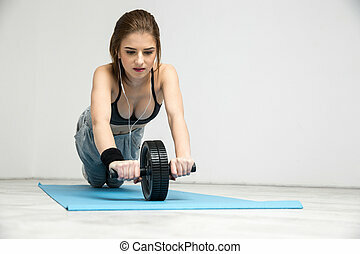 A beautiful young woman in sportswear and using hand weights during exercise workout. 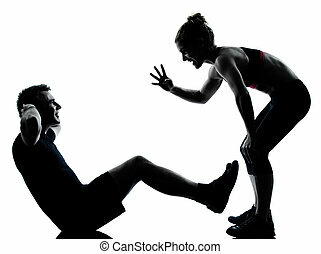 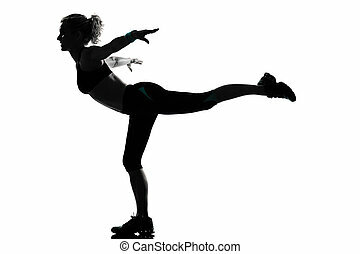 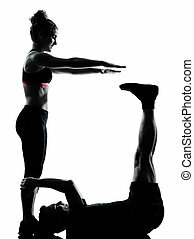 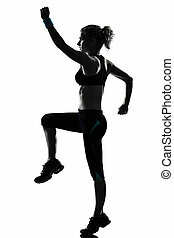 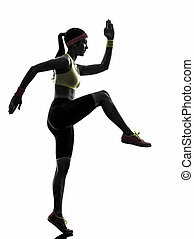 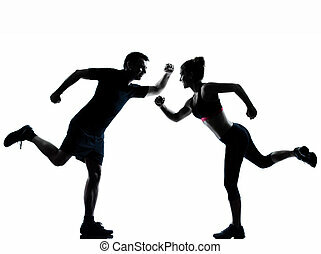 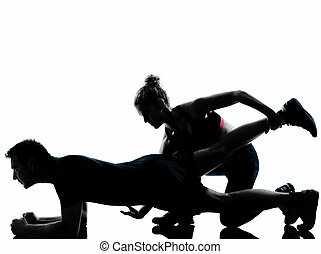 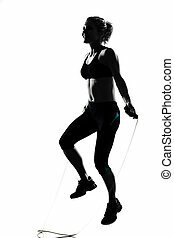 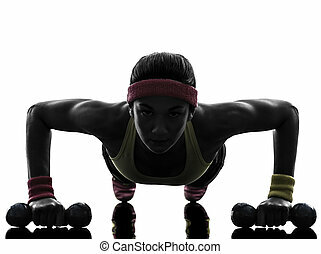 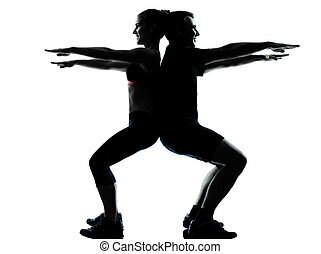 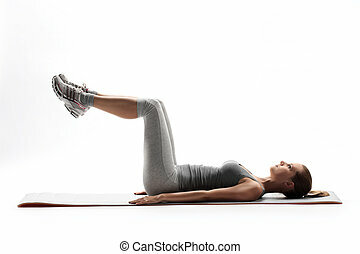 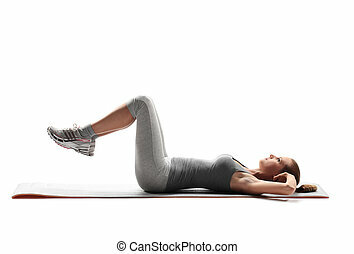 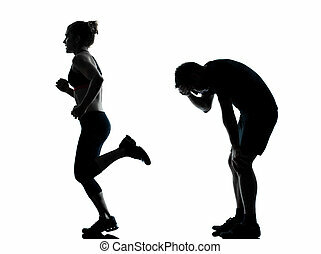 Woman doing fitness exercise, isolated on white background. 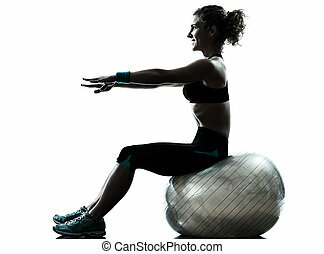 Young woman doing fitness exercise, isolated on white background.